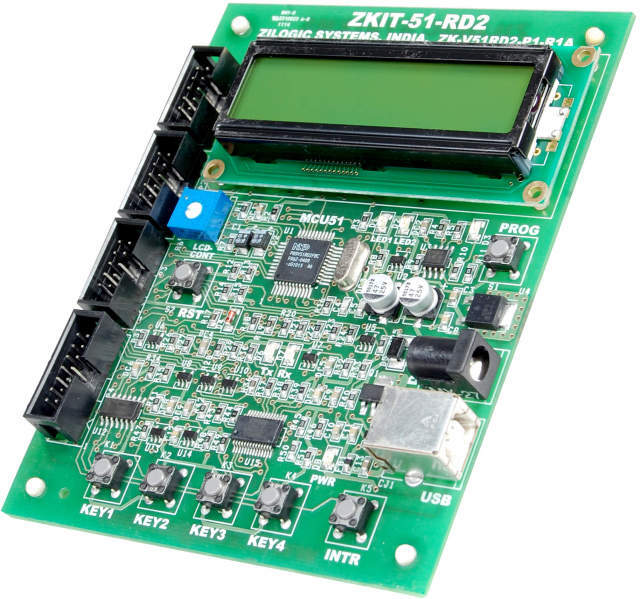 Sample Programs to access LCD, Serial Port RTC, etc. 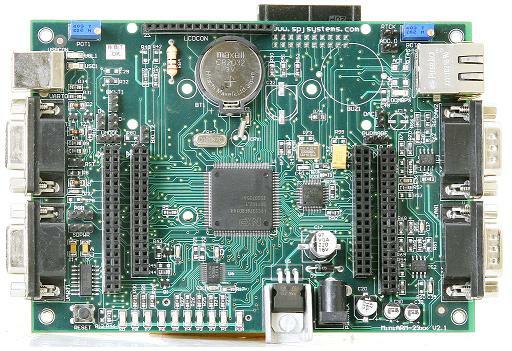 Development and testing of system using ARM processor which is embedded on the development board. 1) LPC2368 / LPC2378 * with 12 MHz main crystal. 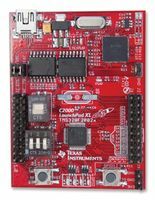 2) Operating speed up to 72 MHz using on-chip PLL. a. 10/100 Mbps Ethernet (10 Base-T, 100 Base-TX, 100 Base-FX and 100 Base-T4). b. 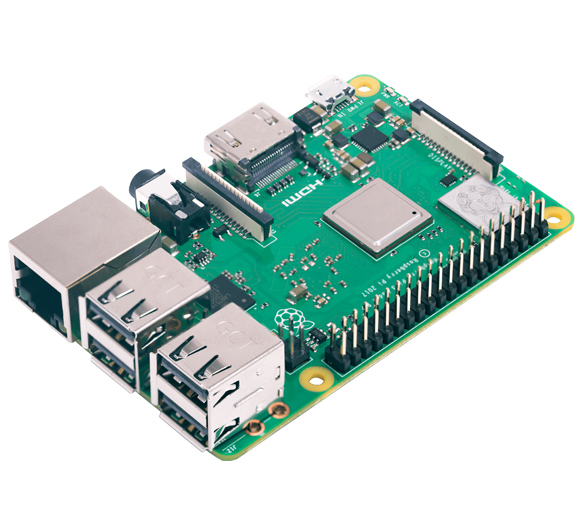 Fully compliant with IEEE standard 802.3. 4) USB2.0 device interface standard support. 6) LCD interface circuit with 16-pin connector for directly connecting text LCD module. 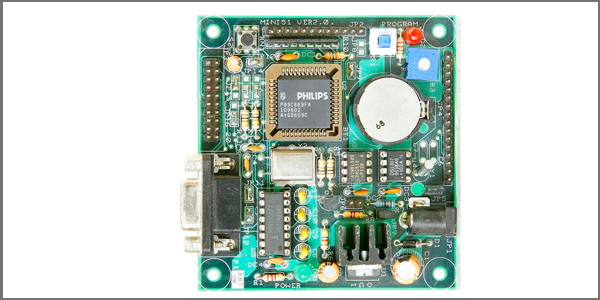 8) On-board regulators to supply 5V, 3.3V to the board. 9) Includes AC adaptor (230 VAC input, 8 VDC output, 500 mA). 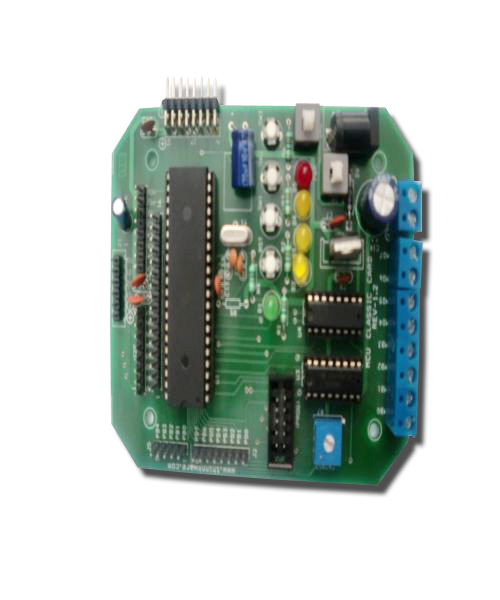 b) Sample programs to access LCD, serial port, RTC and most other peripherals etc. c) Flash Magic ISP utility program, courtesy of http://www.flashmagictool.com/ . 11) Unused / optionally used port pins are available on convenient connectors. 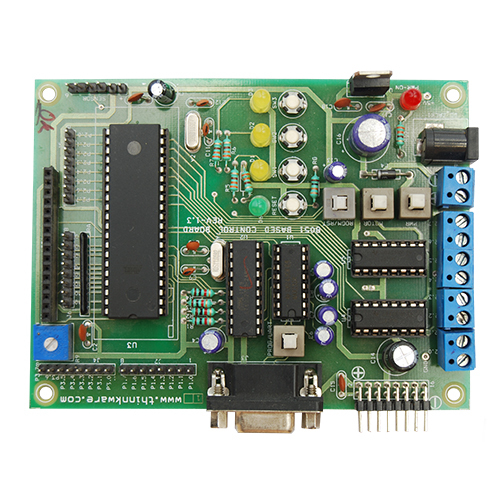 12) Push-button to reset the micro-controller. 13) Jumpers to select between Program (ISP) mode and RUN mode. 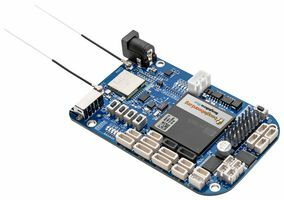 14) MiniARM-2368 and MiniARM-2378 boards include Real Time Clock (RTC) with battery. is initialized to correct mode of operation by software. 15) The same battery will also power 2KB NVRAM. 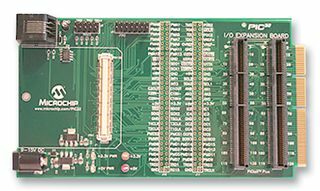 This is a general purpose board designed as a development tool; this board has a facility to download user programs into the on-chip flash memory of the micro-controller.